Many entrepreneurs are driven by a passion to solve problems or address key societal issues. For Tatenda Ndambakuwa, founder of Shiri, her driving force is to address food security challenges by helping farmers in her country to become more productive and efficient using the power of technology. LoA learned more about this impact driven entrepreneur this month. Shiri ensures agricultural information and resources are in one place and accessible for anyone on the African continent. 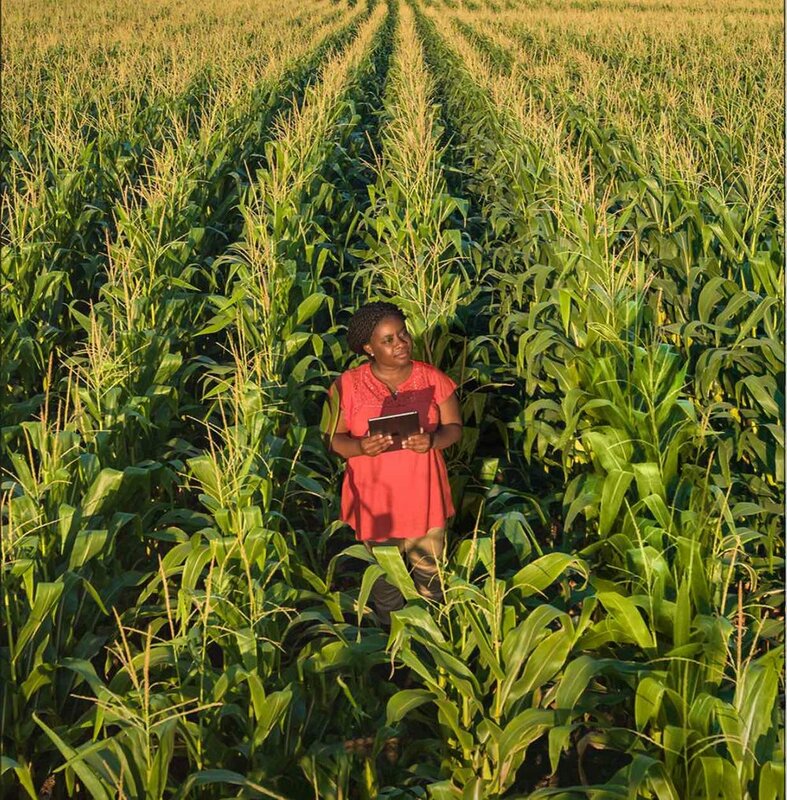 The Shiri mobile phone app allows African farmers to better manage the food production system, through sharing equipment, knowledge, and marketplaces. It also seeks to optimize production, sale, and distribution for small-scale farmers. We are optimistic that Shiri, a comprehensive data science-based farming app, will grow to make farming more productive and successful. Currently, it is only available in Zimbabwe. "It is my crazy idea and my most meaningful commitment to make sure hunger is eradicated in my lifetime." The issue of figuring out how to provide adequate nutrition for future populations needs urgent attention, making agricultural technology the next opportunity for disruption. By 2050, Africa’s population will double, with 1 billion projected to be under 18 years old, and many other regions will experience similar trends. How will we feed this growing population? How will we shape the future of food and agriculture? Already malnutrition is rampant on the continent and 233 million people in sub-Saharan Africa were hungry/undernourished in 2014-6. It is my crazy idea and my most meaningful commitment to make sure hunger is eradicated in my lifetime. After experiencing food shortages of historic proportions in 2008 Zimbabwe I resolved to work on food security which entails also working on agriculture. As a farmer, you get access to agricultural information and resources - market information available to you helps reduce post-harvest spoilage. As a consumer, you get fresh produce at an affordable price. As an agricultural stakeholder (seed companies, agrochemical companies, food processing plants etc) you have access to a platform to engage farmers. Agricultural science students and researchers can connect with farmers in various regions. Finally, drivers can earn money by delivering products and transporting farmers to markets. "After experiencing food shortages of historic proportions in 2008 in Zimbabwe I resolved to work on food security which entails also working on agriculture." Currently, our team is made up of an agricultural scientist, a software developer, and a geospatial and data scientist. The team is made up of women from Zimbabwe, Bangladesh, and the United States. I am a mathematician and urban planner by training. Entrepreneurship is something I got a kick out of as I tried to solve the problems I see around me. I then wanted my problem-solving methods to be sustainable, and as a result, became a social entrepreneur. I was fortunate to have cheerleaders and support systems that helped me advance my ideas. I have had a fair share of challenges. The team I started with was not competent, then I had battles surrounding my intellectual property being stolen, but the most important thing is I have learned many lessons that will be valuable as Shiri expands. We hope to make sure our services are available to more countries on the African continent and Bangladesh. We want to expand our team with full-time staff. We are hopeful that we will bring the farming community closer together and help towards making farming more attractive and food security a reality. Eventually, we hope to be the largest agricultural resource hub. "The Shiri mobile phone app allows African farmers to better manage the food production system, through sharing equipment, knowledge, and marketplaces." Solving problems I see. Making products that help our consumers in a life-changing manner. Bringing ideas to life. Turning my passions and beliefs into a business. Providing a comfortable workspace for employees. Find your passion and seize every opportunity related to it. Do lots of research around the industry you want to break into. Focus on the things you can control and perfect the details. Cultivate a network of trusted mentors and colleagues. Choose the right teammates. Above all shoot high, the most important thing is to get up and keep trying, never give up on something you believe in. PS: don't forget to shatter glass ceilings!